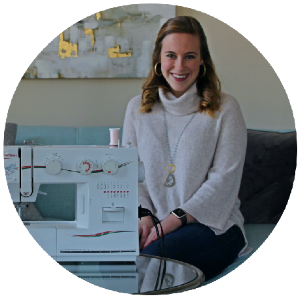 It all began with a sewing machine and a pattern to make a pair of pants. Ever since then, Lucy has been sewing new projects. The actual idea to make bow ties came from seeing college boys scrounging to find ties to wear on football game days. After lots of research and countless trial-and-error runs, Lucy has perfected her own unique bow tie that is perfect for any occasion-- game days included. Our business is based out of Atlanta and we seek to provide top quality, fashionable ties for each customer. Our two ever-changing lines include both ties for grown men and growing men. Because of our desire to help you make your very own fashion statement, we especially value your support and feedback. We are open to bulk orders for wedding parties, etc. and would love to work with you if you have a specific idea in mind. Born and raised in the south, I couldn't bear to leave it. I am a recent Georgia Tech graduate living and working a day job in Atlanta. I studied Business Administration with a concentration in Marketing. When I'm not at work, I love to explore new restaurants, shops, and other hidden gems of Atlanta. I've learned to love the hustle and bustle of the city, but that's not to say that I don't cherish any time at home with my parents, brother, and two pups. While packing up and heading to Florida to relax with a book in hand is high on my to-do list for boring summer days, I would never pass up the opportunity to travel to a different country. Although part of my heart is in France, I can't wait to explore more of Europe and the world. I'm enjoying every minute of my life as a 20-something in Atlanta.